As you probably know there are lots of different factors that can affect the quality of the videos that you record. For travel videos, in particular, some of those factors tend to affect its quality a lot more than others, and by compensating for them you could actually improve the quality of your travel videos considerably. If your camera shakes or is being moved around, it could cause the video to look shaky or the image to lose focus and appear blurry at times. Normally if you’re recording a travel video while walking this is especially the case, but even if you’re standing still it could be an issue. The solution to this problem is to find ways to keep your camera steady. 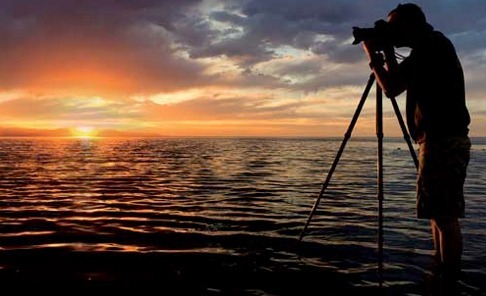 It may help to use a portable tripod stand or a strap-on camera holder in some cases. Because travel videos often involve a lot of movement of the camera itself as well as elements in the video, the framerate of the recording is another important factor. A higher framerate will let it cope much better with action and movement, and still allow the video to look crisp and with good definition. As a rule, it is best to increase the framerate to 60 frames per second if you want your travel video quality to be top notch. Even if you have to reduce the resolution to record at 60 frames per second, it should still produce a better quality video. While technically separate from the ‘video’ quality, the quality of the audio that is recorded in your travel video will reflect on its overall quality. If the audio quality is poor and has lots of background noise or pops and crackles it is going to make the video as a whole appear to have a poor quality. Unfortunately, this is more difficult to compensate for, as the built-in microphone on most video cameras leaves much to be desired. If you want you could remove and replace the audio track in your travel videos with background music or other audio recorded later, or you could invest in a high-quality external microphone to record better audio along with your travel video. Although digital zoom may seem like a great way to enlarge the subject that you’re recording, it is actually anything but. The way digital zoom works is by cropping the area and then enlarging it, which essentially means that you end up with a lower resolution video that has less definition. That is why you should try to avoid using the digital zoom as far as possible, as it will always make the quality of the video lower. If you want to make the subject bigger in your frame, you should instead move physically closer so that the video quality will remain high. Taking care of all these factors should help you to record high-quality travel videos, but it also helps to edit and tweak them after the fact. 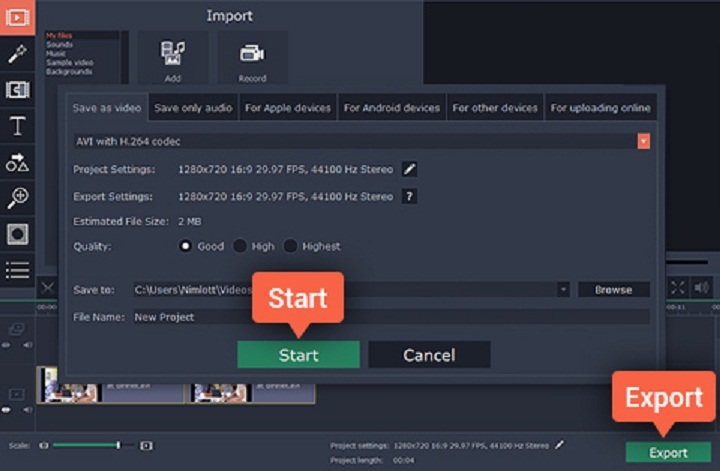 If you need an easy way to do that you should try Movavi Video Editor, and you can find more info about it and how user-friendly it is if you want. The features in Movavi Video Editor should help you to improve the quality of your video in various ways, such as by adjusting the colour settings, removing unwanted parts, or fixing any issues. On top of that, you could add audio tracks, insert captions, apply effects and filters, or perform other alterations that will really make your travel videos look more impressive and stand out.